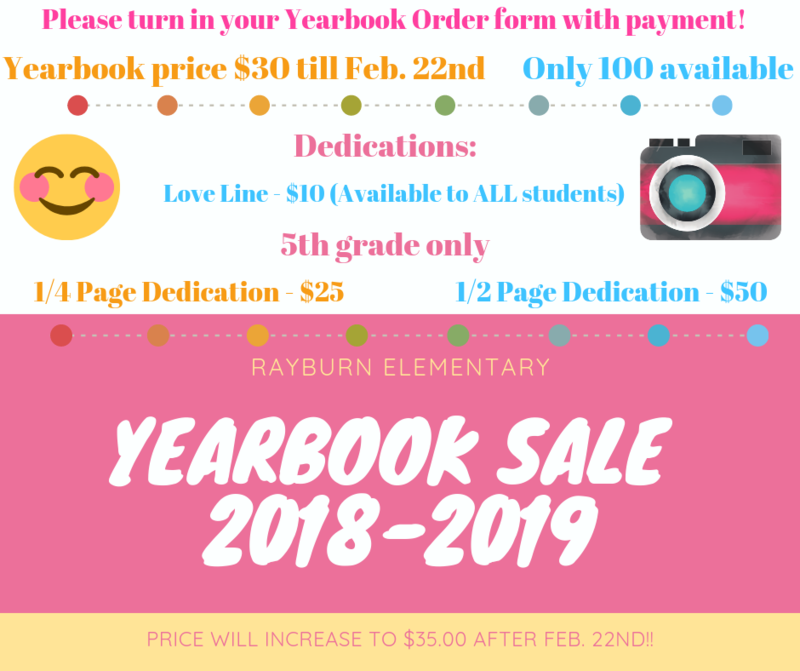 Yearbook Order Forms were sent out on Feb. 4th! Please read your form for more details. Yearbook Forms are also available in the front office! Prices will change to $35 after Feb. 22nd!